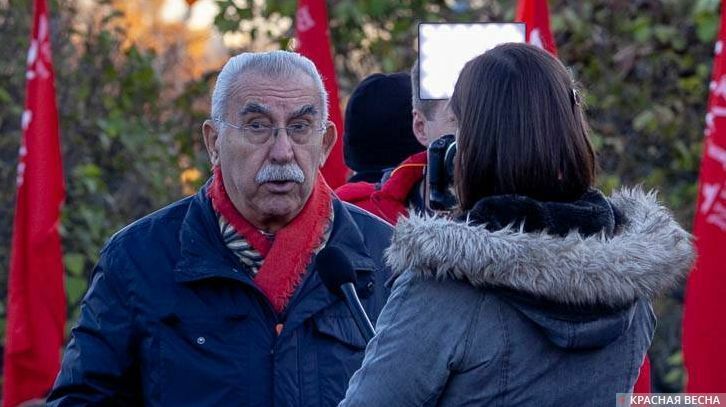 It is important to free up jobs for the youth; this is why Italians demanded at a 100,000-strong trade union rally in Rome that guarantees of lowering the retirement age be given, said Italian journalist Giulietto Chiesa in an interview with a Rossa Primavera News Agency correspondent on February 10. “This is a correction to the previous law, rather than a new one. From this moment, people will be able to retire a little earlier once they reach the defined length of employment and age. This is done in order to free up jobs for the youth. The pension has slightly increased. Its minimum value in Italy is now about 500 euros,” explained the journalist. The participants of the one hundred thousand-strong trade union rally in Rome criticized the Italy pension reform, expressing doubt that it is a long-term action. On January 29, Italian President Sergio Mattarella signed a government decree providing for the reduction of the retirement age in the country by 5 years. For Italians, retirement becomes possible by achieving 100 points as a sum of the person’s age and length of employment. In so doing, the lowest possible retirement age is now 62 years, and the shortest length of employment is 38 years. Moreover, the size of one’s pension under the previous system was determined according to the amount of social contributions, and not according to one’s average salary prior to retirement. This entry was posted in News from the West and tagged Giulietto Chiesa, Italy, Pension reform, Social War. Bookmark the permalink.